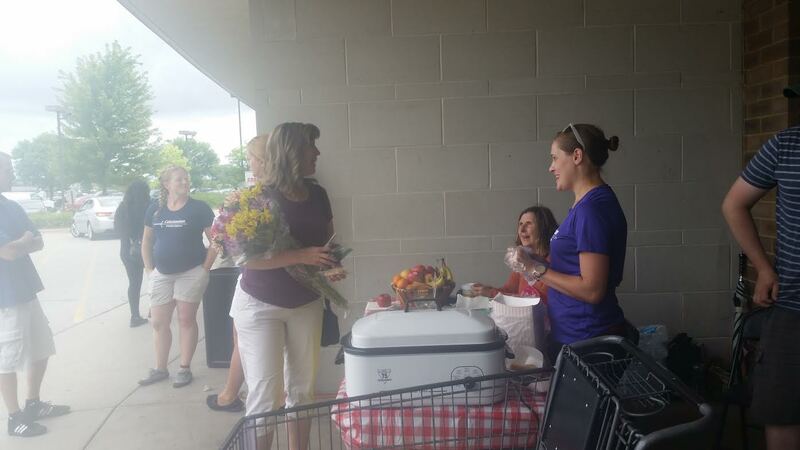 There is a lot that goes on behind the scenes for our dance group you may not know about. 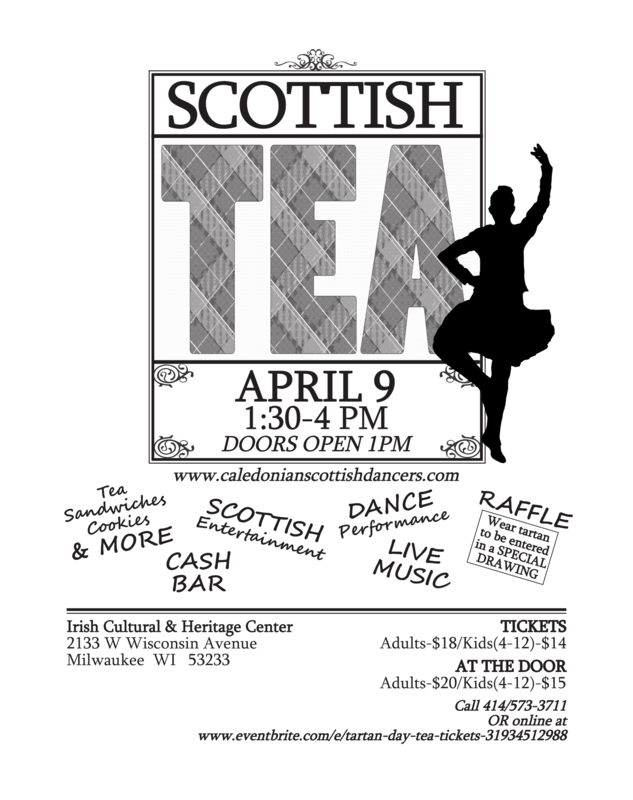 To help maintain our dance group as well as continue promoting Scottish values and traditions, this Tartan Day, April 9th, we will be holding a tea party fundraiser at the Irish Cultural and Heritage Center! ■ reducing dancer cost for future trips the group may take! 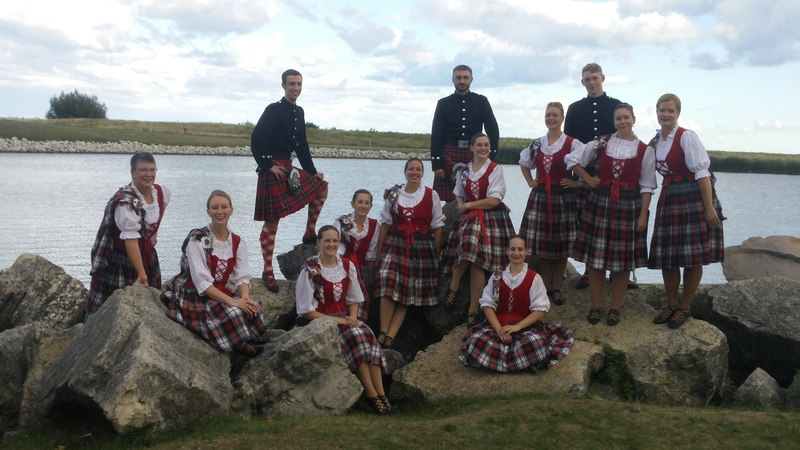 So, come visit us for tea, cookies, and sandwiches, plus traditional Scottish entertainment, including live music and dance! 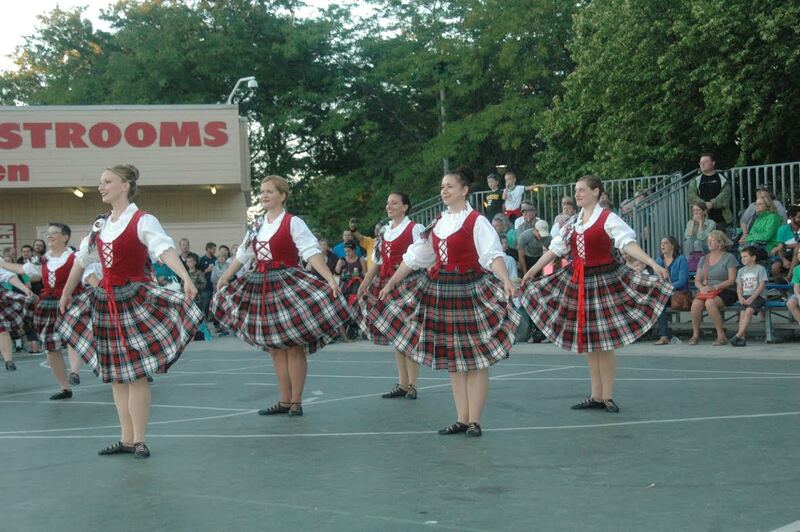 Also, anyone who wears tartan to the event will automatically be entered in a special raffle! To purchase tickets in advance, either get in contact with one of our dancers directly, click the ‘Register Now’ button on the countdown widget, or click here. ■ A 60 minute massage from Massage Envy. ■ Bread for sandwiches from Breadsmith. 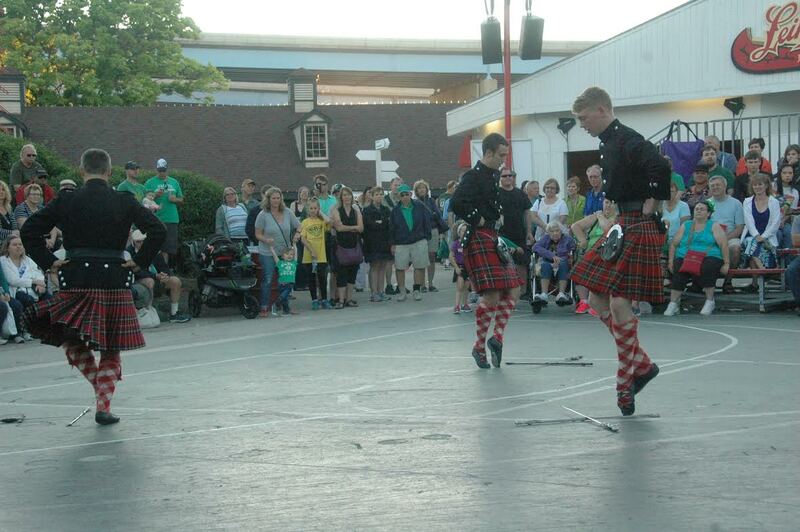 ■ A pipe performance by Milwaukee Scottish Pipe Band. 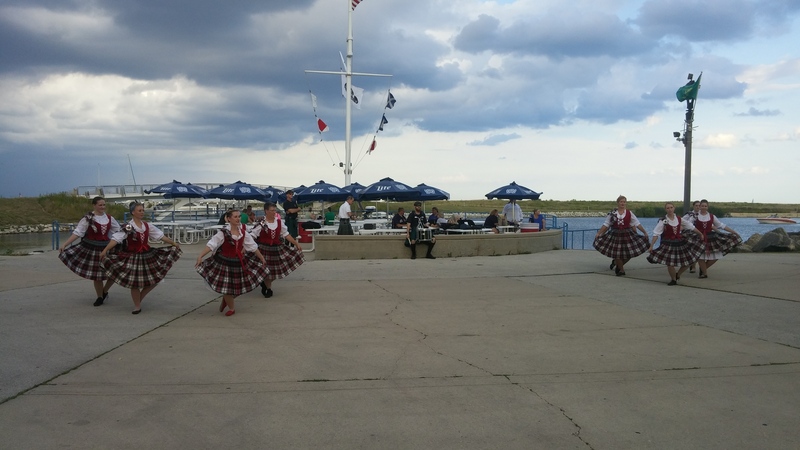 This year’s Milwaukee Irish Fest was ambitious for our group as we undertook reviving not one, not two, but three dances for this year’s show! This meant many long nights of dance practice and many sore muscles the next morning leading up to actual event, but based on all the compliments we received, it was well worth the effort! And even though the weather was not always in our favor—we got rained out Friday—, our Saturday and Sunday shows still went as scheduled and without a hitch! So, thank you everyone who came out in less than ideal weather to come see us dance, thank you Billy Mitchell Pipes and Drums for learning new songs to accompany us while we performed, and thank you all our dancers for your hard work to make this show the best it could possibly be! 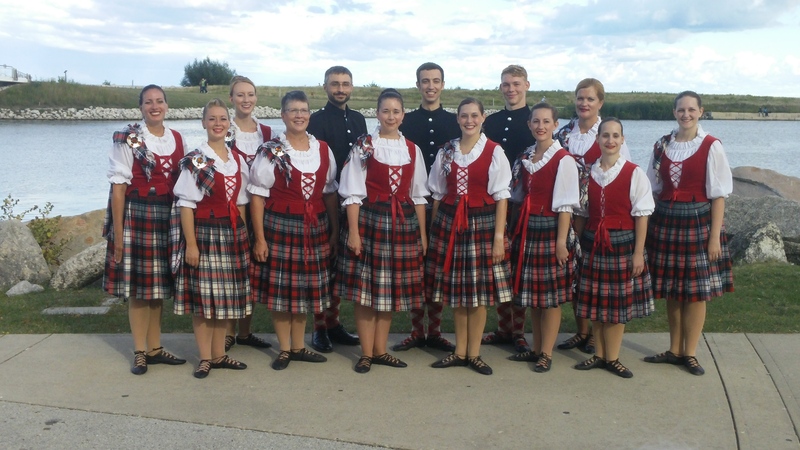 As an aside, we’re asking anyone who has any favorite photographs or videos of us from this weekend to either message us directly via our Facebook account or, alternatively, via our e-mail account Social@CaledonianScottishDancers.com with the media files as well as your express permission that we can use your media on our Facebook account and/or our website. Who knows, your photos and/or videos may just end up in the slide show below! 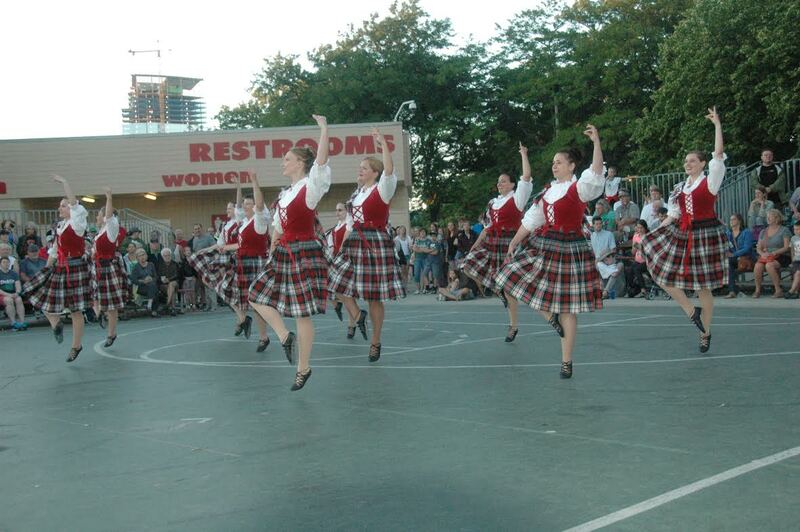 We’re already halfway through August, which means it’s time for yet another Irish Fest! 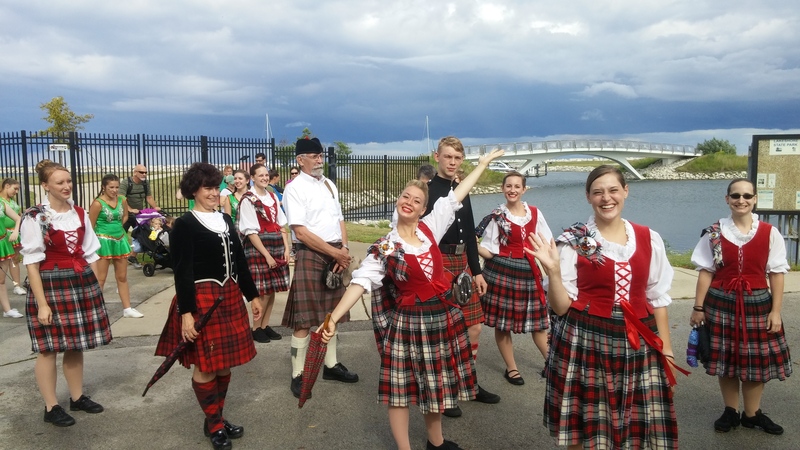 Come watch us walk the Festival grounds in the Irish Fest Parade and then perform a medley of Scottish Highland and National dances with original choreography under the accompaniment of the Billy Mitchell Pipes and Drums at the Crossroads Area! 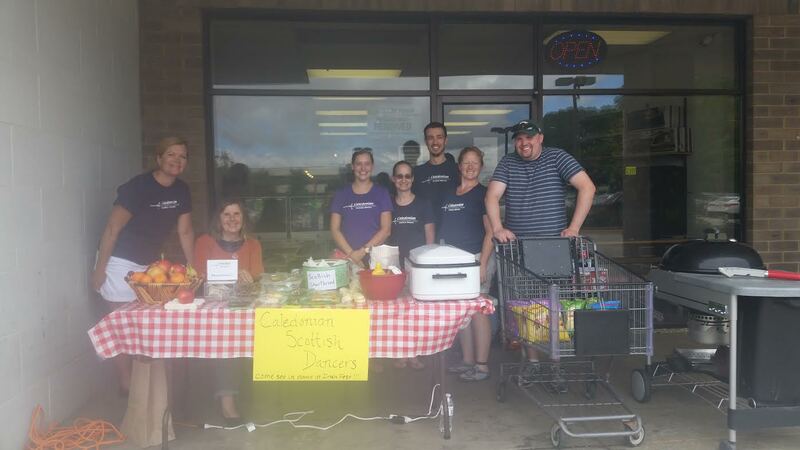 Help support our group fundraise for our trip to Scotland by joining us for lunch Saturday, August 13th, from 10:00 a.m. to 3:00 p.m. at the Pick ‘n Save on 124th and Capitol in Brookfield! 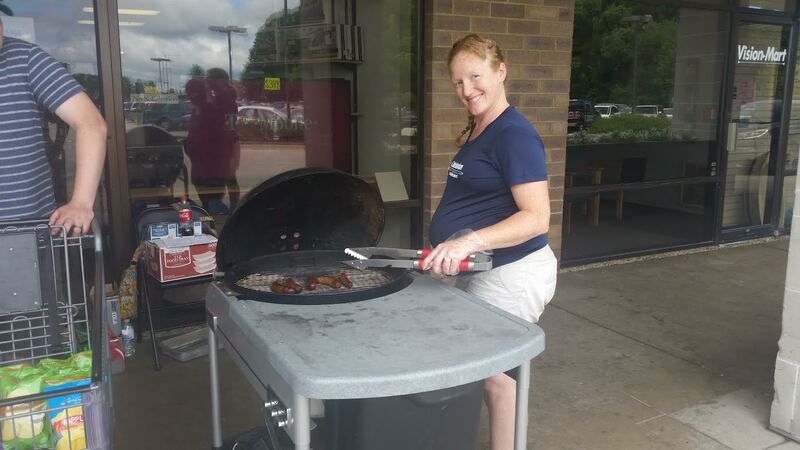 Besides hosting a brat-fry, courtesy of Pick ‘n Save, we’ll also be selling a wide variety of homemade baked goods!